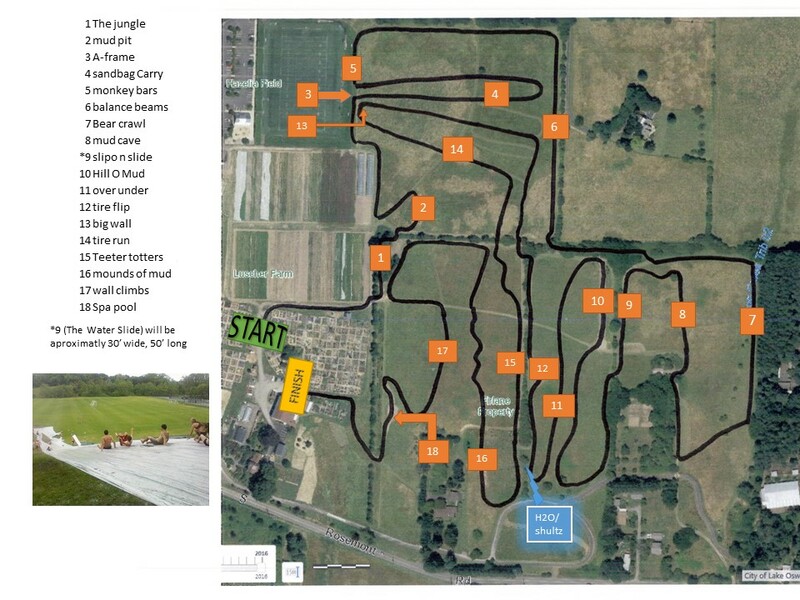 The challenging hills of Luscher Farm will be set with 17 obstacles that get participants running, ducking and climbing as they crash through a course that tests your limits. From couch potatoes to novice runners to athletes, the Howl at the Moon 5K Adventure Run is an event for all athletic abilities. Get muddy on the course, and then rinse off after the run under the spray/mist station. Course is open to participants 10 years and older. Participants under the age of 18 must have a parent/guardian sign a waiver at packet pickup in order to participate (parent must be onsite at this time to sign form). Course is open from 5-8pm with last runners entering course at 8pm. Participants may elect to bypass an obstacle. Clocks are located at start and finish, but this is a self-timed event. A water station and restrooms are located half way through the course. Secure bag check is available for runners to check items during the run (Feel free to leave your bags, keys, tshirts, etc. ).